PLEASE NOTE: This home was sold as a SCRAPE OFF and went for property value only. The house will be torn down. Unparalleled, once in a lifetime opportunity to own the most impressive golf course property in Cherry Hills Village. Sculpted iron gates open to spectacular views from secluded setting at the end of Oxford Lane, never before available. 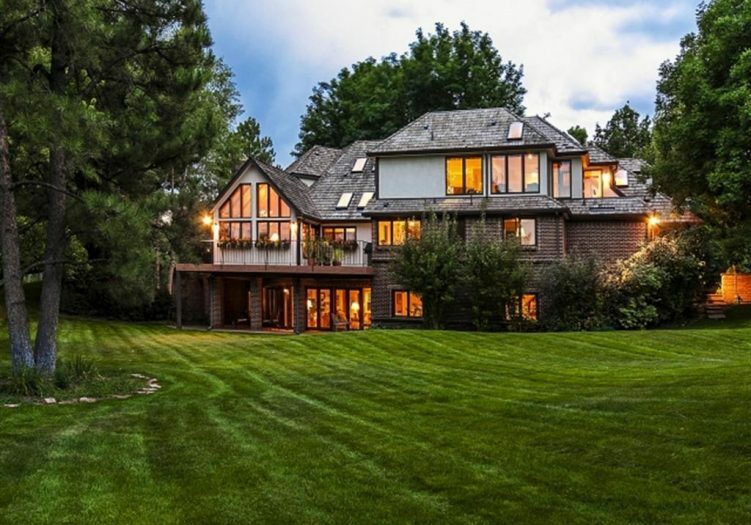 Beautifully landscaped 2.7 acre property with tumbling waterfalls and beautifully covered porches is wrapped by the 15th and 16th holes of Cherry Hills Country Club. Mesmerizing scenery from every vantage point in the charming brick English Tudor home with walk-out lower level. Active well for irrigation and horse pasture with separate barn/garage. Listed by Janet Kritzer 303-883-2474 Co-listed with Nancy Wolfe 303-324-0825. Fuller Sotheby's.